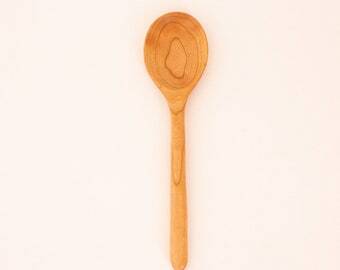 This spoon is available now and ready to ship for free! 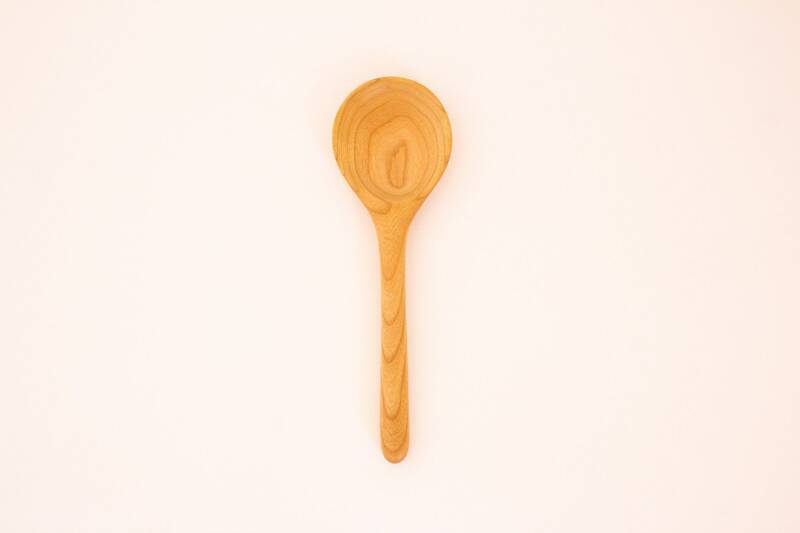 Wood cooking and serving rice paddle style spoon handmade in beautiful Vermont cherry with a wide flat bowl and sanded to a very smooth surface. All of our spoons are unique and handmade. 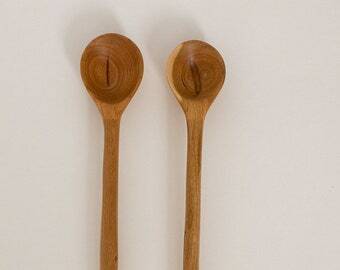 The wood we use comes from small harvests and is constantly changing and no two spoons will be exactly alike. A beautiful work of art. 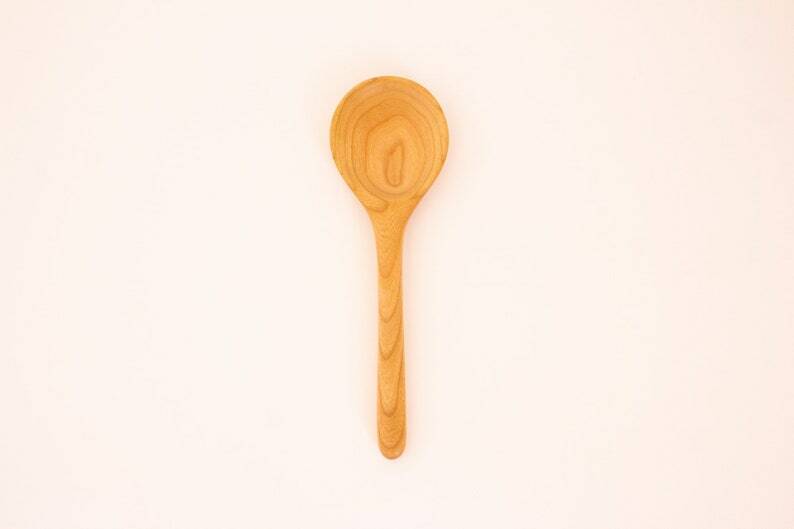 My new Vermont spoon is so beautiful I almost want to hang it on the wall instead of using it in my kitchen. Gorgeous workmanship!